Caller tune service provided by mobile companies is usually a premium service and we need to pay them for song download and monthly usage . 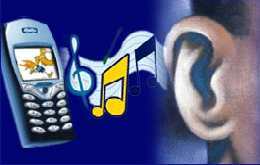 But we can set caller tunes in our phone for free using mobile softwares .Gailoo Tune is one such application which can revert the default ringing tone for the caller to a suitable song /sound set by the user . That is we can use caller tune service free of charge . Gailoo Tune works only in some selected phones for now . Download Gailoo Tune here . Gailoo Tune is a shareware application . But considering the cost of setting caller tune , monthly charges/ download charges etc . , Gailoo Tune would be worth purchasing . We can try this application for the first 5 incoming calls . Other than free caller tunes , Gailoo Tune has two other features called Gailoo voice mail and Blacklist/Call Blocker which makes it more impressive . No monthly charges for using Caller tunes . Unlimited choice for setting songs . Play different song/caller tune for different contacts . No charge for setting voice mail . 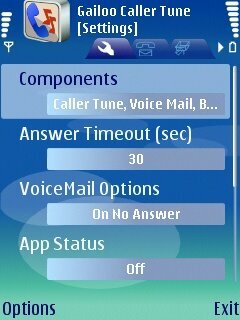 You can record your sound/ keep a custom sound as Voice mail . And this sound will be played as soon as the call arrives . Highly customizable and profile integrated . Blocks SMS and incoming calls from a selected numbers from contact list . Price of this software is only 6.5 $ or 300 INR . Download for Nokia N96 . Download for Nokia N78, N79, N85, E75, 6220 . Why cant i download to a samsung for a free trial ? This is a unique website, where you can search free codes for callertunes, hellotune, welcometunes etc. This site provides codes for all operators in India like Vodafone, Airtel, Idea, Tata, Reliance, Aircel, MTNL, BSNL, Loop, Uninor, Etisalat, Videocon etc. i hv tata indicom connction & micromax GC400 mobile. can i set there free???? i am so glad to make on this that i want to contact to my friend with its. thank you so much for using its freely .